Approached along its own private road, surrounded by rolling greenery and unforgettable scenery, this stunning retreat’s gardens conclude with absolute ocean frontage and private access to the romantic beauty of Moo Cow Beach. Living and dining spaces that watch the water are complemented by a deck that enhances the coastal connection and makes entertaining a delight. 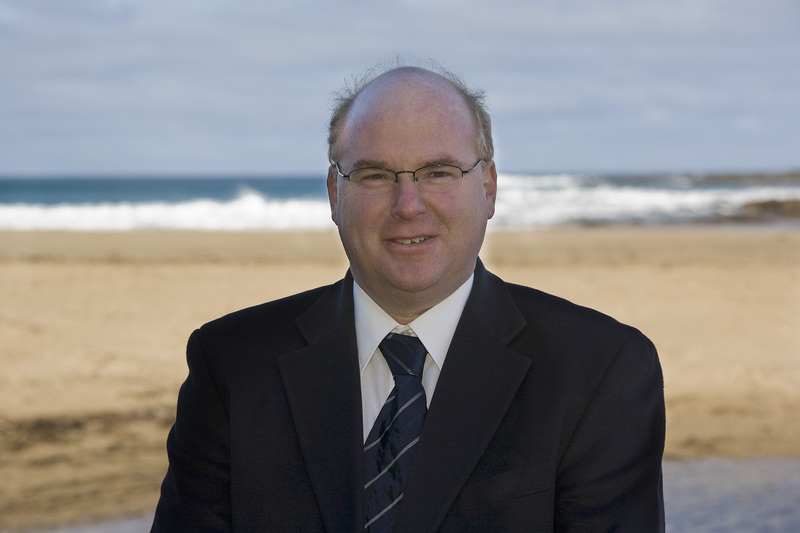 Close to Apollo Bay’s cafes and shops, easily reached from Melbourne – yet a wonderful world away. Truly Exceptional. Well appointed modern house with open plan living and dining, opening onto 2 separate decks. 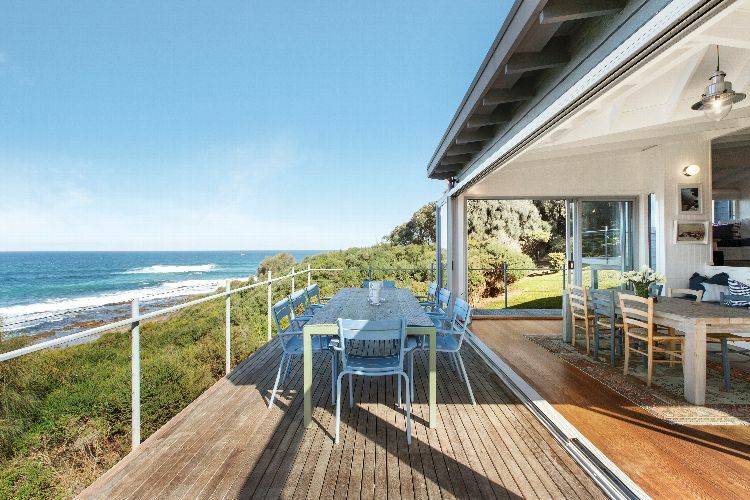 Taking in stunning ocean and harbour views from one deck and rolling hill views from the other. Offering 3 large bedrooms, 2 bathrooms and polished timber flooring throughout. 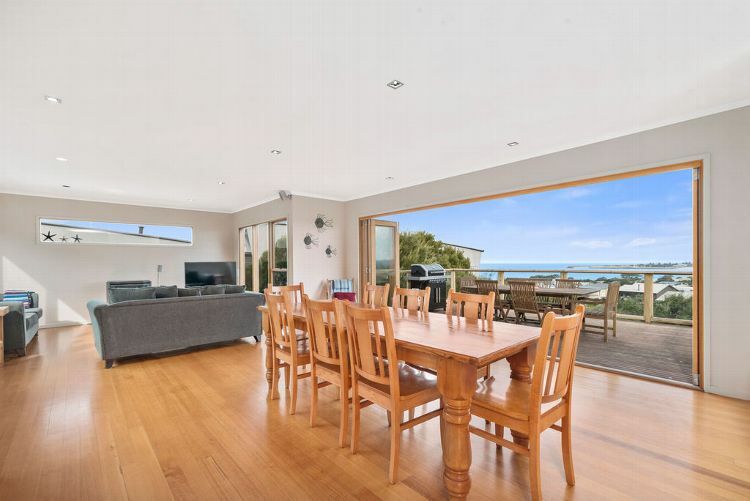 All located just a short walk from the pristine beaches of Apollo Bay, as well the cafes, restaurants and all that the coastal village provides this home is ideal for family or holiday rental.